If you want to improve your credit score while protecting the money you have in your savings account, a cash-secured loan might help you accomplish your goals. The concept may sound unusual because you borrow against your savings in the bank. The loan will cost more in interest charges than the money you’re earning in interest on your savings, but this type of loan has its benefits. These loans can help you build stronger credit, and they can also help you manage your spending behavior. A cash-secured loan requires you to provide a personal guarantee, by depositing funds with your lender. 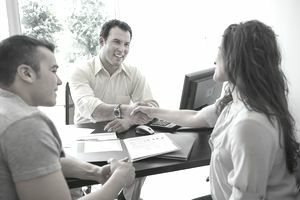 You qualify for the loan primarily based on the lender’s ability to keep your money if you stop making payments on the loan. To use this type of loan, you’ll borrow from the same bank or credit union where you keep your money in a savings account, money market account, or certificate of deposit (CD). Since you already have the money available in your savings account, you present minimal risk to the lender. The lender requires you to pledge your cash savings as collateral, meaning that the lender can take possession of the funds if you fail to repay the loan as agreed. As a result, it will be easier to get approved. If you can’t qualify for other types of loans, such as unsecured loans or credit cards, cash-secured loans might be your best bet. Use for anything: You can use cash-secured loans for any legal purpose. You might choose to put the money towards something that you really need, or something that will bring a return on your investment, such as improvements to your home. The loan can come in the form of a lump sum, or you can use it as a line of credit, with a cash-secured credit card, for example. Competitive rates: You will still need to pay interest even though your lender already has the cash to guarantee the loan. However, you'll get a lower interest rate on a cash-secured loan than what you’ll pay for most other loans. If you have low credit scores, you’ll get a better rate with these loans than with credit cards or personal unsecured loans. Because you've secured the loan with your savings, the lender takes a smaller risk, making the cost to you lower. Fixed rates: Cash-secured loans that you take in a lump sum typically have fixed interest rates, so your payment remains the same over time. You won’t have the same risks that come with a variable rate, such as surprise payment increases. If you can get a low rate, having that fixed rate for several years can work in your favor if your savings start to earn more or interest rates rise on other loan alternatives. If you use a cash-secured credit card, the rate will be ​variable. Loan amount: Some banks let you borrow the full amount that you’ve deposited and pledged as collateral. Others limit the loan-to-value ratio to around 90 percent or less. For example, for every $100 in your account, the lender might only allow you to borrow $90. If your primary goal is to build credit, you don’t need a huge loan. Several thousand dollars should be plenty, and it’s common to start with loans smaller than that. Some banks offer cash-secured loans for up to $100,000, but the maximum amount depends on your bank or credit union. Short terms: Most cash-secured loans come with relatively short repayment terms, such as ten years or less. These loans can best help you through tough times while improving your credit scores. If you’re looking for a 30-year mortgage, though, using a cash-secured loan probably does not make sense. Installment payments: To repay lump sum loans, you’ll typically make equal monthly payments over the term of your loan. A portion of each payment reduces your loan balance, and the remainder covers your interest cost. To see how that process works, read about amortization. Look at some numbers for yourself and plan out your loan. Some lenders offer variations on the standard loan, such as secured credit cards or other types of lines of credit. Relatively small: You don’t need to go big to take advantage of these loans. If you’re just starting to build or rebuild credit, ask about borrowing a few hundred dollars. A smaller loan will be less burdensome on your finances. This keeps you from locking up any more money than you have to, and you can pay fewer interest costs over time. Why Not Just Use Your Own Money? You might wonder why you should bother with a loan when you’ve already got the cash available. In some cases, just spending the cash makes sense, since you’ll avoid paying interest, keep your debt lower, and you won’t risk any damage to your credit if you stop making payments. On the other hand, you can benefit in a few different ways from using these loans. Build credit: If you’ve got bad credit or you’ve never borrowed in the past so you have thin credit, these loans can be a stepping stone towards higher credit scores. Every time you successfully pay off a loan, your credit improves, as long as your lender reports the loan to the credit reporting agencies). Offset interest costs: If you choose to pay interest to rebuild your credit through a loan, it’s beneficial to make up for some of those costs by earning interest on your savings. It makes sense, though, to borrow and pay interest only if you’re getting other benefits. When you use your cash as collateral, the money gets locked up until the loan has been repaid. You might be able to access some of it after you’ve partially repaid the loan, but in the meantime, your money continues to earn interest, although less interest than you pay on the loan. Keep savings intact: There’s also a behavioral benefit. If you have difficulty saving money, it might not be a good idea to use up your emergency savings because then you’ll need the discipline to rebuild, and you’ll have to start from zero. Borrowing against your savings provides a structure that encourages you to make the required payments, and discourages you from using credit cards to pay for emergencies. Once you pay the loan off, you’ll still have a sum of cash available for future needs. Better loans in the future: Ultimately, the difference between what you earn on savings and what you pay on the loan is the price of improved credit and the psychological benefit. This can help you be successful with bigger loans in the future to buy a house or car, for example. If you’ve got better credit and more cash available for a large down payment because you’ve kept your savings intact, you may qualify for a better rate on those larger loans. That rate can result in significantly lower lifetime interest costs. Ensure that your lender reports payments to the credit bureaus, otherwise you won't gain any benefit on your credit scores. Verify that the loan is actually reported by checking your credit periodically (it’s free for U.S. consumers). Get your payments in on time, since late payments will harm your credit, leaving you with more work to do later. No Credit Check to Borrow: Is that a Good Idea? What Does it Mean When a Loan Is "Unsecured"?